The city of Costa Mesa and the surrounding Irvine area is an exciting, beautiful place to live, but few things here are as beautiful as the smiles of its people. Great dental health makes for happier, healthier living, and it is this ideal that drives us at the Art of Dentistry Institute to provide you with a top Costa Mesa Dentist. What qualities should you look for in your ideal dentist in Costa Mesa? 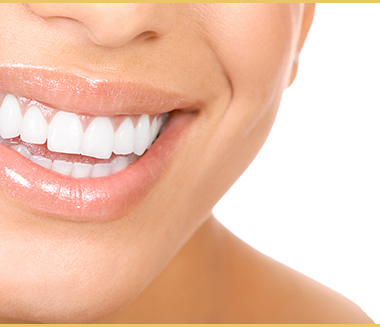 To achieve your perfect smile, your dentist should have a wide range of services at his disposal to handle any request. From the most basic teeth whitening capabilities to dental crowns and dental bridges, the Art of Dentistry Institute provides you with both general and cosmetic dentistry services. To ensure your satisfaction for all our dental services, your Costa Mesa dentist must have the right qualifications. Our founder, Dr. Emil Hawary, began the Art of Dentistry Institute with the singular goal of helping people achieve a beautiful smile. From using his extensive training and knowledge, he has accumulated multiple gold medals in the Smile Gallery Competitions of the American Academy of Cosmetic Dentistry (AACD). His work has been featured in a variety of dentistry journals, and was even the subject of a rigorous examination by the AACD, which led to Dr. Hawary achieving Accredited Fellow status. This honor is only held by 60 individuals worldwide. Having the right qualifications as well as all the necessary tools is important, but above all your Costa Mesa dentist should have your needs first in mind. Each individual’s smile is unique and requires the utmost care and attention. When you choose us as your Costa Mesa cosmetic dentist, we will attentively listen to learn what you desire most from your ideal smile. From there, identifying the dental services that will help you achieve it will be easy. From there, it will only be a matter of time before you have the smile you have always wanted. Call (949) 955-3366 or contact us to schedule an in-office visit with the Art of Dentistry Institute today, and get the smile you deserve!